Coconut Banana Cream Petite Cakes are simple and fun to make! So happy to it’s Friday! I love Fit Friday’s cuz Miss Nichole from Pure Clean Fitness comes to hang out with us. I love having her visit and inspire our fitness! A Healthy Recipe Coconut Banana Petite Cakes from me+ Tabata Workout from Nichole= a healthy, happy, balanced life! This recipe is great because it starts with a cake mix and then we throw in a couple of fun extras and you’ve got an amazing dessert! Plus, I worked a little of my “skinnied” magic on them so they taste amazing without all the calories! Win-win!! Coconut Banana Cream Petite Cakes taste like coconut-banana-creamy heaven in a little cake! I don’t know about you guys, but I am getting anxious for more sunshine and less clothing. I want to be able to walk outside in shorts and a tank top instead of jeans and a sweatshirt. There have been a few of those glorious days, but not enough of them. They have completed their purpose though, those few glorious days have reminded everyone that we want to be rocking and ready for summer. Today we are attacking that summer body Tabata style. 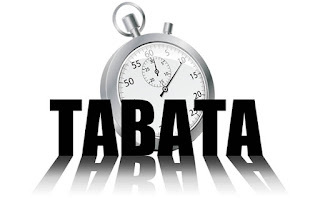 Tabata is a fantastic interval workout that requires maximum effort and produced maximum sweat. 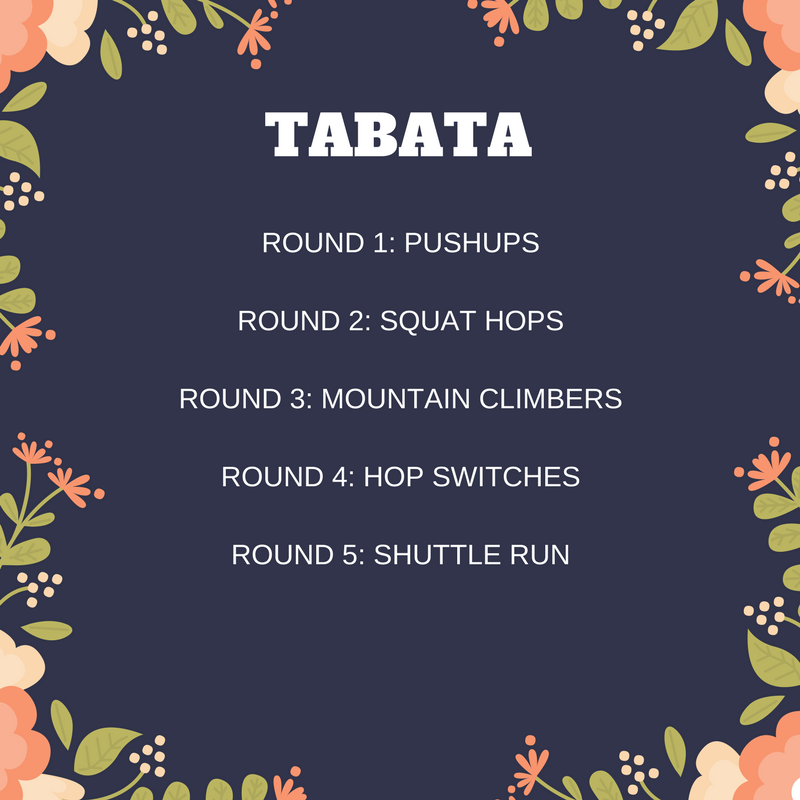 I promise your heart rate will get moving and your muscles will enjoy. 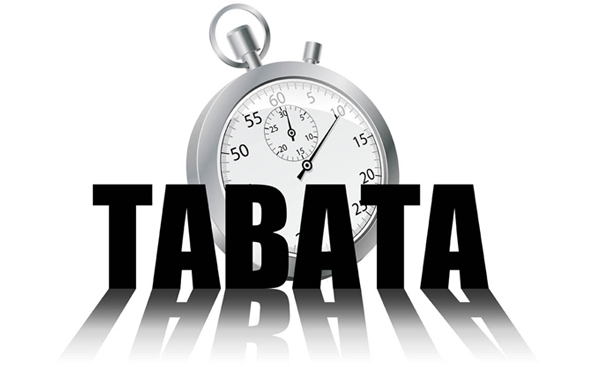 Tabata requires 20 seconds of all out effort and in return you get a 10 second breather, repeat this cycle 8x (4 minutes). In between each round take a one minute breather, use it to grab a drink and reset your body. In a large mixing bowl combine cake mix, 2 tablespoons canola oil, eggs, 1-1/4 cup milk, 1/2 cup coconut, and dry coconut pudding mix into batter. Divide batter into prepared cupcake pans. Bake 18-20 minutes or until toothpick remove clean from center of cupcakes. Remove from pans to wire racks; cool completely. Refrigerate until ready to assemble cupcakes. Slice bananas into 1/4 inch angled slices. Remove liners from cupcakes and cut in half. Place bottoms of cupcakes on serving plate, spread 2 tablespoons of filling on each bottom, add 3 banana slices, a sprinkle of coconut, and place top on each cake. Finish with a dollop of filling, banana slice, and sprinkling of coconut. Keep in fridge until served.